DJI have announced an brand new quadrocopter, the Phantom 3, and it improves upon its predecessors in nearly every way. Best of all, for those drone enthusiasts looking for something capable of decent video capture, their latest model with a 4K camera might be just for you. The DJI Phantom 3 is more powerful than the Phantom 2, with new motors that can accelerate and decelerate faster than its predecessor, while top speeds remain the same at 16 meters per second. The change in motors also bring about efficiency improvements, as the Phantom 3 carries a smaller 4,480 mAh battery that's capable of the same 23 minutes of flight time as the Phantom 2. The positioning system has been revamped in the Phantom 3, taking on board the Vision Positioning System from DJI's more expensive drones that helps with flight where GPS positioning isn't available. The app to control the drone has also been updated with an on-screen map, a flight simulator to practice your moves, and easy live-streaming options. While the Phantom 3 still comes with a stabilized camera that can't be replaced, the camera you actually get will be better than ever. In the Professional model, DJI has equipped the drone with a 12-megapixel camera capable of 4K video capture at up to 30 frames per second. If you're looking for a drone that's a bit cheaper, the Advanced model keeps the 12-megapixel sensor, but restricts you to 1080p video capture at 60 frames per second. DJI hasn't announced when the Phantom 3 will go on sale, but the prices for each model are better than expected. 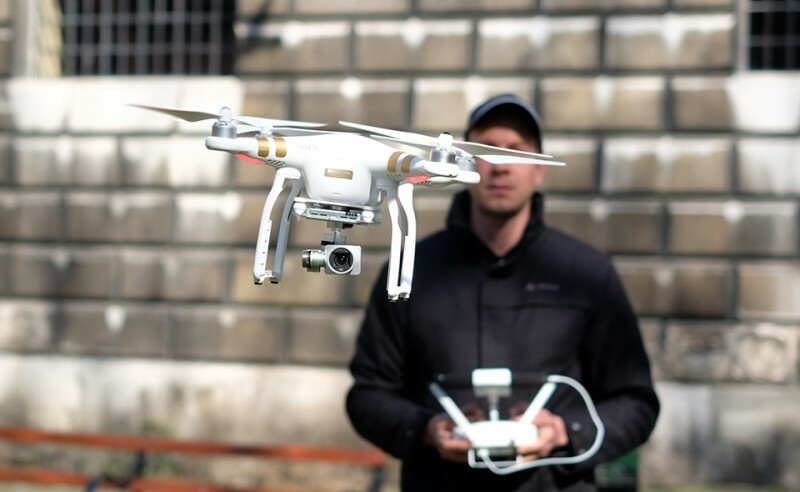 The Phantom 3 Professional will set you back $1,259, which is the same price as the Phantom 2 but with a better camera and a revamped positioning system. The Advanced model, largely the same as the Professional model, will cost just $999.